During this time of year that focuses on giving, many people choose to donate to charity. The elderly are a particular demographic that can greatly benefit from charity because they often live on small incomes and may have health concerns to address. If you are interested in helping others this year, you will be pleased to know that there are many excellent charities that support seniors. Here are a few recommended by Rhode Island Home Care Assistance. The NCOA is an extremely beneficial charity that helped over 500,000 elderly people last year. They help seniors to apply for government benefits, and they directly pay for medicine, utilities, food, and other housing costs for low-income seniors. This nonprofit organization rescues elderly dogs that need a quiet and loving home. The dogs are then matched with seniors who need a companion. A dog can be a great way to provide affection and comfort to an elderly person who is mostly homebound, particularly if he or she receives Alzheimer’s, Parkinson’s, or stroke care in Rhode Island. Actions for Older Persons, Inc. This agency focuses on providing programs that give advice and work to educate seniors. They assist seniors in creating end-of-life plans, offer counseling, and give advice on insurance and business issues. This charity ensures that elderly people continue to get the information that they need to live out their golden years comfortably. As the name of this charity shows, their mission is to honor and respect senior citizens. They raise money that is donated to an entire network of programs for the elderly. The nonprofit provides meals, rent assistance, transportation, and adult day care for seniors. Friends of the Elderly is an offshoot of the Little Brothers program that works to relieve elderly loneliness or isolation by providing companionship for seniors. Anyone can volunteer to be matched with an elderly friend, and volunteers spend time with their friends and assist them with tasks such as shopping or running errands. Charities aren’t the only organizations that can help your senior loved one. Home Care Assistance is a leading provider of Alzheimer’s, stroke, Parkinson’s, and dementia care in Rhode Island that can offer your loved one the companionship and emotional support he or she needs. 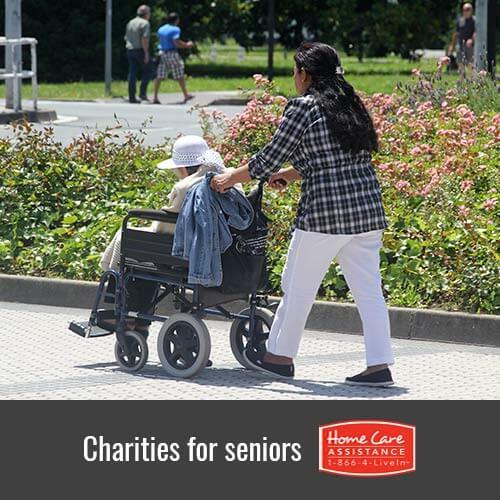 Additionally, our qualified caregivers offer assistance with household chores, personal care, and nutritious meal preparation to seniors on an as-needed schedule. Call us today at (401) 284-0979 to speak with a personable Care Manager and learn more about our care services.